Shipping container architecture might be all the rage right now, but there are some who maintain that using these transportation units to build homes out of might not be the best idea. The fact that the steel containers are repurposed in this way is very sustainable, since they would otherwise continue to pile up in ports across the world. But the environmental benefits perhaps don’t go far beyond that. Shipping containers were never meant for human habitation, which means that their walls are painted with toxic paints. The wooden floors are also soaked in pesticides to deter vermin. This means that the containers have to be sanded down, and all the flooring removed prior to using them to build a home. 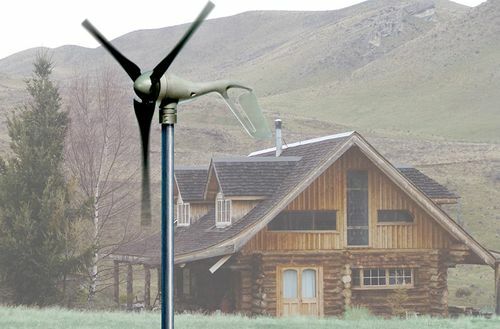 This already raises the cost and carbon footprint of building such a home. Furthermore, even a high cube container, which is 9-feet high, results in a home with a pretty low ceiling after all the needed insulation, is added. 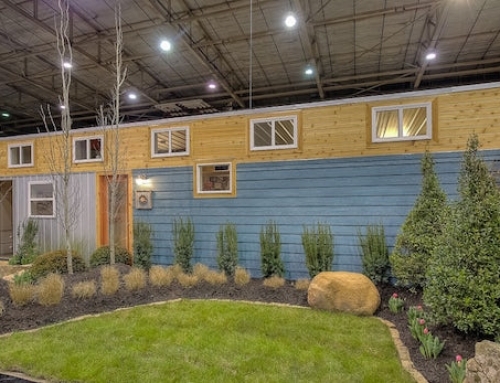 However, there is no denying that designing and building a house using a shipping container is fast, easy and fun. After all, the basic structural units are already in place, so all that remains is the question of how to assemble them. 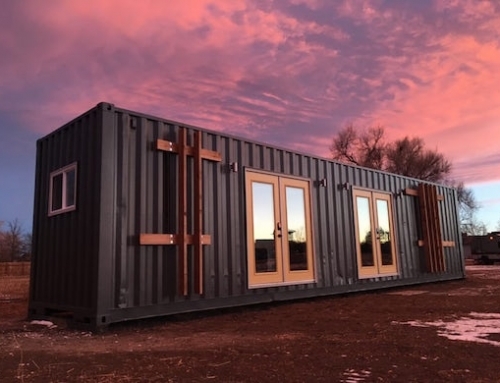 Some designers and architects are already drawing inspiration from shipping container architecture, without actually using containers in their designs. 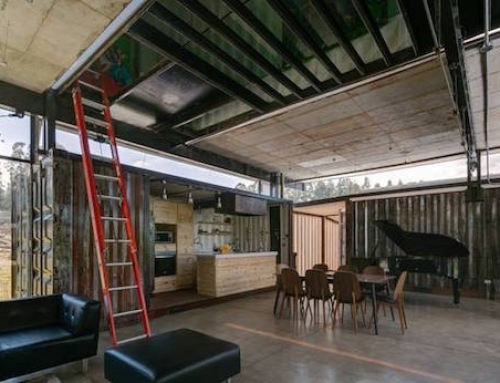 Below are three such home designs, which could all also serve as inspiration for what can be done using repurposed shipping containers. 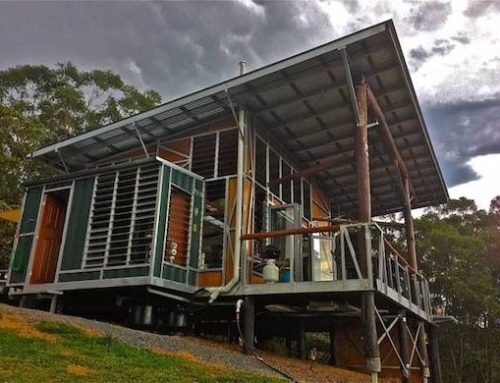 This small home resembles a shipping container home at first glance, but is actually built using primarily sustainably harvested timber and CNC-milled grey cement-board panels. 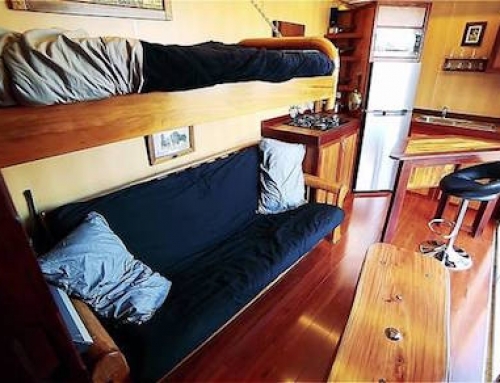 The home measures 27 square meters (88.6 square feet) and features a living room, kitchen, a bathroom with a full shower, and a double bedroom. The house also has a gabled roof, which is 3.5 meters (11.5 feet) high and provides an added sense of spaciousness. 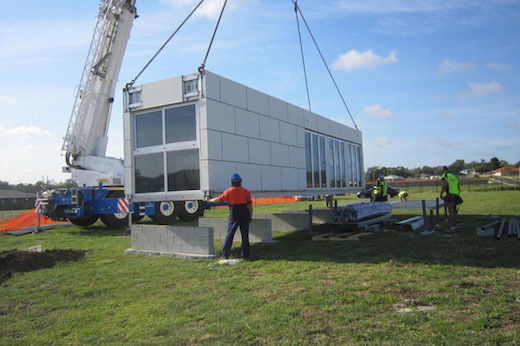 This prefab home assembles in mere hours and, since it is only 3.5 meters high, it can also be easily transported on the back of a truck. 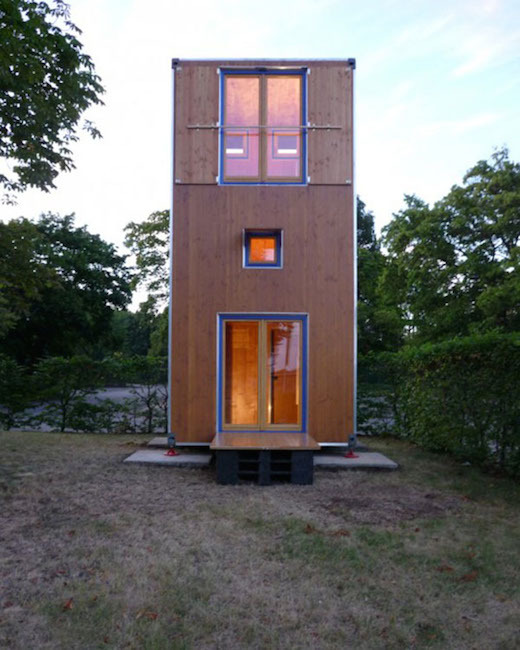 Han Slawik, an architect from Germany, designed the Homebox house using a shipping container building as a model. But the Homebox is not made from an actual steel shipping container. Slawik simply took all the best parts of shipping container architecture, like ease of transport and universal dimensions, then designed something that was just as simple, sustainable and easy to maintain. 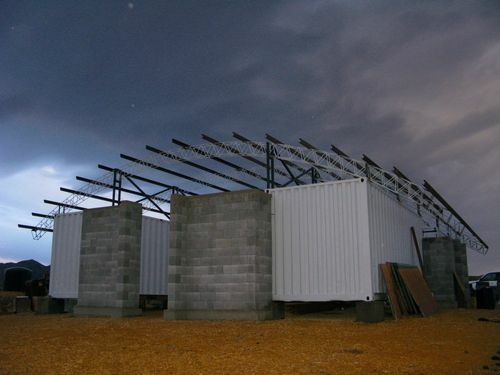 The latter can also be a problem when using shipping containers to build homes, since the repair and maintenance of the steel units is costly and time consuming. 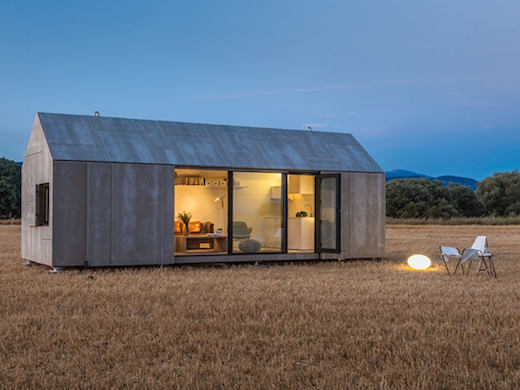 The Homebox itself mimics a shipping container that is placed vertically. This results in a three-story home with a net living area of 150 square feet and a footprint of just of 75 square feet. 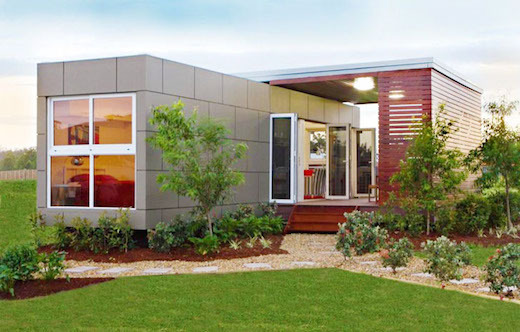 The Australian modular home company Nova Deko Modular makes prefab homes inspired by shipping container architecture. They offer units of varying sizes, though all the designs are based on the 40-foot shipping container. Their smallest unit measures 320 square feet and consists of a bedroom, bathroom (with sink, toilet and shower), a functional kitchen, a living area and ample storage space. The company also offers larger homes, though the main building blocks are always the size of a standard shipping container. In this way they are able to take advantage of the shipping container transportation and handling infrastructure that is already in place, which helps to keep the costs down, and doesn’t require new shipping solutions to be created. 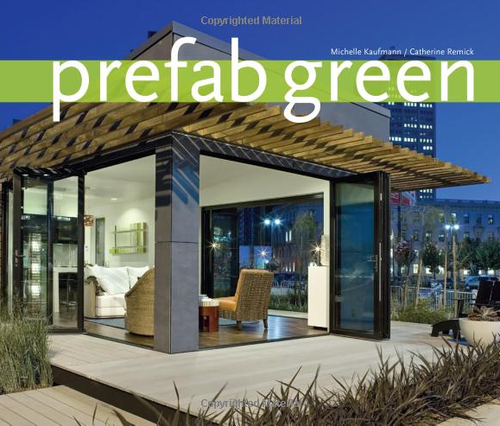 This is a novel idea in the world of prefab modular homes, which just might gain some tracktion due to the popularity of shipping container architecture. However, it still leaves the problem of recycling the used shipping containers.